You only turn 50 once, so why not celebrate? That was my logic last fall when I bought a bottle of Tequila Ocho Single Barrel Anejo (NOM 1474). I don’t commonly spend $78 for spirits, but, hey, it was a special occasion made extraordinary by this smart splurge. Some reviewers tend to gush over new spirit finds and wax poetic about the sipping experience. I promise I won’t do that. But what I do promise is this tequila is worthy of all praise. It is truly exceptional, one the finest I’ve ever tasted. The nose is powerful, redolent of agave, wild flowers and a hint of caramel. It’s so inviting that it’s hard to wait for it to open up. Just dive right in. But prepare for the bite, which is neither subtle nor a punch in the face; it’s mostly what you expect from a high-proof spirit. Though it demands your attention, the sting is short lived and quickly gives way to sweet complexity of light caramel backed by citrus, agua miel, huge minerality and white pepper. A second sip delivers spice and smoky wood notes to the mid-palate. 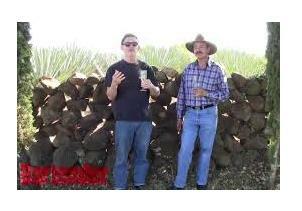 That tequila that young picks up so much wood character in only one year is amazing. A brief rest, then a third sip brings an even greater array of flavors: coriander, lemongrass, field grasses and Vietnamese cinnamon, all riding a wave of ample body. Some long-aged bourbons never achieve such structure, yet this anjeo gets it in a single year. Surely Mexico’s weather extremes boost body during aging. I didn’t notice that a friend, a casual tequila drinker who’s not big on it neat, poured himself a a couple of ounces. But I caught his expression of astonishment after he sipped it. “My gosh, that’s crazy good,” he said. “Where did you get that?” (Isn’t it fun to see someone “get it” and recognize they’re drinking something extraordinary?) He was thrilled to know it came from our neighborhood liquor store. 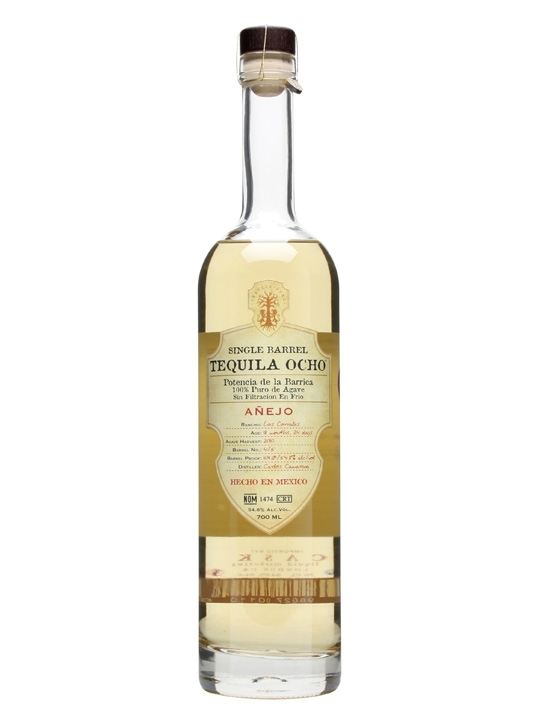 I’ve had Tequila Ocho’s fantastic plata, and this añejo somehow maintains that expression’s youthful agave and minerality while adding layers of complexity. The aged product is beautiful and exuberant, yet smooth and classy. It’s Rob Lowe in 2015: miraculously holding on to his boyish good looks while maturing with gentlemanly grace. Treat yourself to a bottle of this if you can find it. Special thanks to Australian Bartender for the video share. Tequila Aficionado is proud to welcome rising star in tequila and travel journalism, Stephen Coomes, as a Contributing Writer and Reviewer. 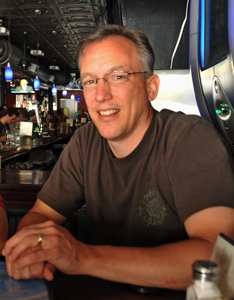 His steady gigs include roles as contributing editor for Nation’s Restaurant News (the U.S. restaurant industry’s largest publication), restaurant critic and feature writer for Louisville magazine, feature writer for Edible Louisville and Seafood Business magazines, Kentucky travel and dining contributor for Southern Living, and dining blogger for Insider Louisville. He also writes marketing, PR, web copy and ghostwrites for numerous private clients. You can visit Steve online at www.stevecoomes.com.